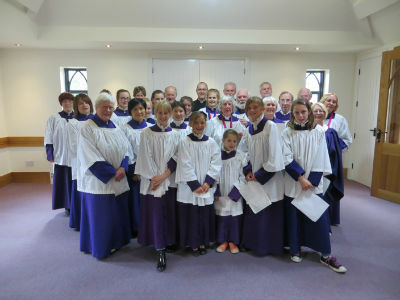 Our choir accompanies most services and ages ranges from 7 years to over 70. It is led by our Organist and Choirmaster David Colthup. Rehearsals are on Fridays from 6.15 to 7.15. Junior Choir meets on Fridays from 5.30 - 6.45 for practice and sings on Sundays at the 9.15 service and at Choral Evensong on the third Sunday of the month. If you would like to know more about music in general at Cookham Dean, the Choir, the Celebrity Organ recitals or technical aspects of our organ, please email our organist and choirmaster by clicking here.